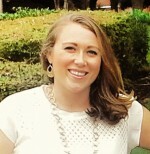 Baylor>Robbins College of Health and Human Sciences>Faculty & Staff>Faculty Directory>Karen Melton, Ph.D.
Dr. Karen Melton came to Baylor in Fall 2014 from Texas A&M University where she completed a Ph.D. in Youth Development. Dr. Melton also has an M.S. in Youth Development from Texas A&M and B.S. in Therapeutic Recreation from the University of South Alabama. She has also been certified as Certified Therapeutic Recreation Specialist (CTRS). Dr. Melton has been employed in adolescent settings such as camps, ministry, and residential facilities. In these settings, she has developed adolescent development programs and initiated family recreation programs. Dr. Melton is engaged in research that focuses on family experiences. Dr. Melton has spoken at regional and national conferences regarding youth development best practices. And while she was completing her degree at Texas A&M, she taught Youth Development courses and was honored by the university with the three teaching excellence awards. Dr. Melton’s passion for family activity time extends beyond academics, she enjoys time spent with her family. She is married to Kyle and they have one daughter. Some of her greatest joys include reading, running, and time spent in the great outdoors with her family. Dr. Melton is guided by an idea that creating and maintaining healthy family contexts will encourage healthy child and adolescent development. She strives to understand strategies and maintenance patterns related to family experiences that promote healthy family cultures. These strategies can be applied to prevention and interventions to reduce the mental and physical health disparities of children, adolescents, and their parents. Her current research is focused on measuring the positive effects of family experiences; including rituals, routines, and recreation. Additionally, Dr. Melton’s expertise on quantitative methods and adolescent development have been important contributions to many of the research projects in which she has participated. RREA Wetland Education Project. 2011. PI: Matt Duerden. Disparities of Place in Access to Extracurricular School Sports and Physical Activity in North Carolina Middle Schools. Active Living Research-Robert Wood Johnson Foundation. 2011. PI: Mike B. Edwards. Twenty-first Century After-School Program Evaluation Project. 2008. PI: Peter A. Witt. Melton, K. (In Review). Family Leisure Experiences: Crossroads of Activity Incongruity & Family Interactions. Melton, K. & Zabriskie, R. (In Review). In the Pursuit of Happiness All Family Leisure is Not Equal. Melton, K., Ellis, G., & Zabriskie, R. (Accepted 2015). Assessing alternative techniques for scaling the Family Leisure Activity Profile: Recommendations for future family leisure measurement. Leisure Sciences. Edwards, M.; Theriault, D.; Shores, K.; & Melton, K. (2014). Promoting youth physical activity in rural Southern communities: Practitioner perceptions of environmental opportunities and barriers. Journal of Rural Health. Lanning, B., Melton, K., Abel, N. (2015). Reality Education for Drivers (RED) Program Evaluation. Duerden, M. D., Norton, K., & Melton, K. (2014). Embracing intentionality in adventure programming: The design, implementation, and evaluation of adventure experiences. In R. Black & K.S. Bricker, K.S. (Eds.) Adventure Programming and Travel for the 21st Century. Venture Publishing, State College, PA .
Melton, K., Ellis, G, & Zabriskie, R. (2015). Measuring Family Leisure Experiences: Alternative Scaling Techniques with the Family Leisure Activity Profile. Experience Industry Management Conference. Provo, UT. Melton, K. (2014). Collecting Data to improve health outcomes: Using collaboration between organization and university. Healthy Teen Network Conference. Austin, TX. Melton, K. (2014). Strategic Planning: Moving Your Org from Surviving to Thriving. Youth Development Initiative Conference. Navasota, TX. Outley, C. Rayfield, J., Theriault, D., Woosnam, K., Melton, K., Ramirez-Mann, & Campbell, K. (2013). Conducting a Multisite Evaluation Across Texas: Success, Challenges, and Lessons Learned. American Evaluation Association Conference. Washington D.C.
Melton, K. K., & Edwards, M.B. (2012). Gender Examination of Parent-Child Leisure and Cohesion. NRPA Leisure Research Symposium. Anaheim, CA. Edwards, M. B., Melton, K. K., Daniel, J., Dunlap, R., & Outley, C. W. (2011). Perceptions of Youth Leisure-Time Physical Activity in the Rural South. NRPA Leisure Research Symposium, Atlanta, GA.
Melton, K. K., & Rall, K. (2011). Logic Models: A Piece of Cake. Youth Development Initiative Conference. Austin, TX. Reichstein, L., & Melton, K. K. (2011). Interactive Staff Training: Strategies and Tips. Youth Development Initiative Conference. Austin, TX. Duerden, M., Melton, K. K., & Fernandez, M. (2010). An Assets Approach to Preparing Educators and Adolescents for College Experience. Big Tent Conference-Search Institute. Houston, TX. Melton, K. K., & Roberson, S. (2010). Listen Up! Youth Voice & Program Quality. Youth Development Initiative Workshop, Dallas, TX. Melton, K. K. (2010). Listen Up! Youth Voice & Program Quality. Youth Development Initiative Conference, Austin, TX. Melton, K. K., & Witt, P. A. (2008). Fostering Youth Engagement Through Youth Voice, Empowerment, and Participation. NRPA Congress and Exposition. Baltimore, MD.